That title is so misleading and really, just a gigantic lie. But it's catchy so I'm sticking with it. 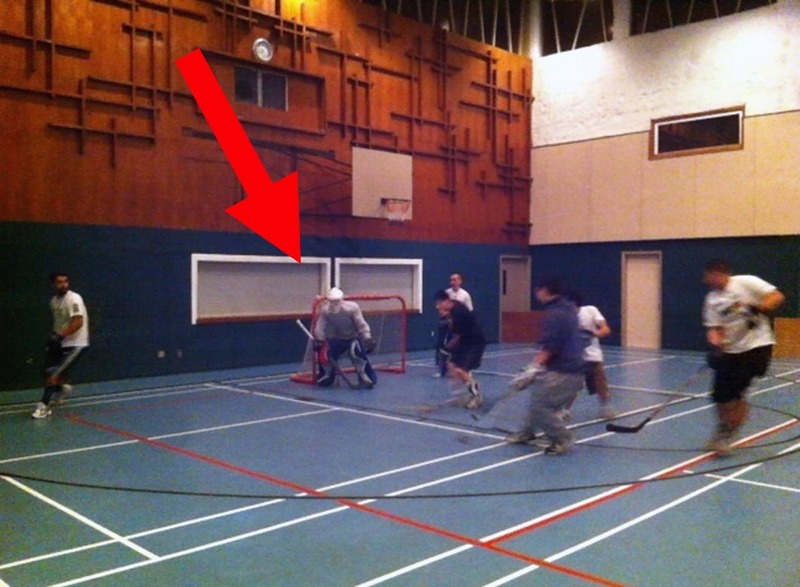 Almost one month ago at church floor hockey, only one of our regular goalies showed up and so I somewhat excitedly goalie-suited up (HIMYM) because when I was a kid (between the ages of about 7-Eleven...hehehe) I was a fantastic goalie. I think it was because we used a tennis ball and at that age, no one was strong enough to make hard shots. Fast forward to today, where I feel unstoppable because despite having no hockey pants, I have finally invested in a very strong cup. It's amazing how invincible one feels when you don't have to worry about losing the prospect of future generations. Alright, all gear is on, let's jouer au hockey! Long story short, I was a horrible goaltender. First shot on net? GOAL! Huh? It went in? Oh there's the ball behind me....oops. When you're playing in net, it's such a completely different mindset from being a regular player because little things like knowing where to place your stick and how high you have to hold your trapper up, really makes a difference. Depth perception was a real problem because now there's a cage in front of your eyes and a good chunk of peripheral vision is being blocked off by the goalie mask. More little things like knowing how to go down on a shot, which leg to put down first, when to get up, knowing which direction to fall, etc. It was humbling and tiring. I had a bruise on my right knee from where I would fall down to make a save, and it was as big as the circumference of an aluminum pop can. My worst "injury" was a blister that formed on my thumb from where I gripped my goalie stick (which becomes noticeably heavier than your normal player's stick after a 30 minutes or so into the game). My glutes took four days to heal completely, possibly from my awkward crouch stance. It felt like 2005 again. Ah, memories. Anywho, here's a picture of what I looked like. I'm so tiny in comparison to the net! Oh and before I end, what's the deal about Amazon you ask (hey humour me...you've already read this far)? I'm googling about sports ministries last Tuesday night, and I end up on the Amazon page for Recreation and Sports Ministry by Broadman and Holman. The reviews make it look like a decent read but its $17.63 brand new. Awwwww. But hark, what's this in smaller print? Used copies from CDN$ 1.02? SOLD! The shipping cost me CDN$ 6.49 so I paid $ 7.51 and it should arrive in about 2 weeks. Thank you Amazon and thank you "atlantabookcompany" for your excellent speed and service. I got an email the next morning (10 hours after I placed the order) saying it was shipped and on its way. 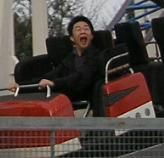 Weeee! I'll have to remember to post a review about the book. Saw gas for 125.3¢/litre a few days ago...caramba! And our loonie is 1.02365 USD...chihuahua!